Shabazz Palaces, La Luz and a Rolling Stones cover band highlight Seattle's live-music options for New Year's Eve 2015. 8 p.m. at Conor Byrne, 5140 Ballard Ave. N.W., Seattle; $25 (206-784-3640 or www.conorbyrnepub.com). Artist Home is a local booking/event-planning agency that’s had a hand in outdoor music events like Doe Bay and Timber Festival. The lineup for this show hasn’t been announced, but based on that track record, it’s fair to expect a folk-and-rock–leaning lineup of feel-good local acts. In a little more than two years of playing clubs, The Dip has become one of Seattle’s trustiest live acts. The group’s vintage soul and funk pastiche—the product of the group’s UW jazz program education and a deep record collection—is a dance-floor filler, and as appropriate a choice as any for New Year’s Eve. Long-running local quintet The Dusty 45s is primarily a country act, but it rarely stays there for long: blues, surf and old-school rock ’n’ roll all figure into the group’s sound. Singer/guitarist/trumpeter Billy Joe Hughes is known for setting his horn on fire to close out shows, so that’s cool, too, I guess. Emerald City Soul Club and Dug! 8 p.m. at Lo-Fi Performance Gallery, 429 Eastlake Ave. E., Seattle; $20 (206-254-2824 or www.thelofi.net). 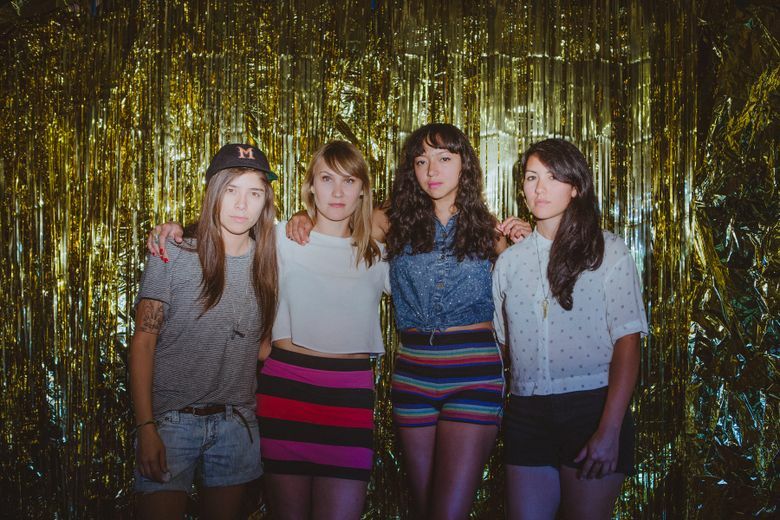 La Luz has gone from a local band playing DIY venues to the sort of act that tours the country and appears in the middle of festival bills, surviving a harrowing car accident in the process. Now the surf-rock band has opted to move to Los Angeles to further its career, and this show is a well-deserved farewell. McTuff is an underrated gem in Seattle live music, appearing weekly at its Tuesday night residency at Wallingford’s Seamonster Lounge. Leader Joe Doria’s organ/keyboard work—especially his deft touch on the organ’s bass pedals—drive the band’s funk sound forward. 6:30 p.m. at the WaMu Theater, 800 Occidental Ave. S., Seattle; $92 (206-381-7555 OR www.wamutheaterseattle.com). The winter edition of USC Events’ quarterly EDM megashows returns with its usual array of big-box electronic-music headliners. Electro-house DJ Dillon Francis, Eric Prydz (whose snare sound is like EDM’s Amen break) and “Satisfaction” producer Benny Benassi top the bill. 8 p.m. at the Neptune Theatre, 1303 N.E. 45th St., Seattle; $23.50 (206-784-4849 or www.stgpresents.org). The most striking thing about Seattle’s New Year’s Eve music offerings is their familiarity. Soul, country, cover bands: the sounds of the past are a comfort as the calendar moves a year forward. This show is one of the few exceptions, as Ishmael Butler’s avant-rap project is one of the most forward-thinking acts in the city. 9 p.m. at Kremwerk, 1809 Minor Ave. S., Seattle; $35 (206-682-2935 or www.kremwerk.com). Kremwerk is typically a haven for techno, but the Denny Triangle venue is will be home to more-mainstream club sounds for its New Year’s party. Attendees are encouraged to wear “sequins, glitter, metallic outfits, shiny things,” and the music will continue well past the typical 2 a.m. cutoff point. 9 p.m. at the Sunset Tavern, 5433 Ballard Ave. N.W., Seattle; $15 (206-784-4880 or www.sunsettavern.com). Cover bands are typically the purview of cool dads and music-scene lifers, but this tribute to Keith, Mick and Co. comes from a host of Seattle musicians that played in bands like Blood Brothers, Truckasaurus and Whalebones. Their take on the Stones’ material is well-executed and respectful, but not self-seriously reverent.